*We request the mandatory information below so we can identify you on our database and update your preferences. To verify your identify we may need to contact you. If you would like to be kept informed on our latest offers, products and services, please indicate how you would be happy to hear from us by ticking the following boxes. Your privacy is important to us, we will not share your data with any organisation outside the Strachan Group for promotional marketing activities. We will notify you when the updates to your preferences are completed. If you wish to amend or enquire of any information we hold about you please email dataprotection@strachan.co.uk. Furniture designed and fitted all across the UK and Europe. Four generations of experience in the art of fine furniture making has been the business of the Strachan family. Meticulously handcrafted in our Yorkshire workshop. Ask our sales department for more details. 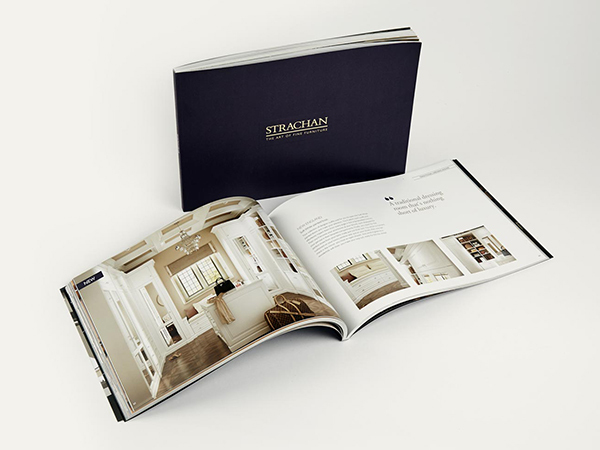 Order a free copy of the new Strachan brochure for design ideas and inspiration. Find elegant bespoke designs for bedrooms, lounges, walk-in wardrobes, home offices, libraries and more. Browse at your leisure and discover the ideal way to transform your home.